On Monday, Mobile World Congress 2018 will officially begin in Barcelona. The Samsung Galaxy S9 will be announced on February 25, one day before the start of the event. Other major Android OEMs will also attend the event, and so will Google. In a blog post, Google’s Senior Vice President of Platforms & Ecosystems Hiroshi Lockheimer stated that the company will showcase its latest products, including Google Assistant and Lens. RCS will also be an important topic at the event, as users can expect to see the “growing industry momentum” around it. 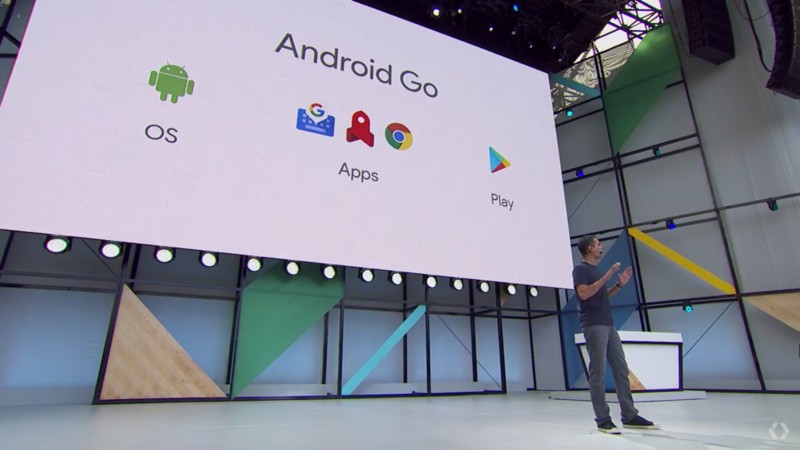 The most important thing at the event, however, might be the launch of the first Android Go phones. Android Oreo (Go Edition) was launched as a low-powered version of Android 8.1 Oreo last year, intended for phones with 1GB of RAM or less. These phones have less storage and processing power, and are less expensive to produce. Therefore, they can be sold for low prices such as $50. Next up is Android One. The first Android One phones were launched in 2014, and although the project suffered from a slow start, it gained momentum in 2017. Xiaomi jumped into the game with the Mi A1, and Motorola and HTC soon followed with the Moto X4 Android One Edition and the Android One edition of the U11 Life. Mr. Lockheimer stated that at MWC, “consumers would see news from [Google’s] partners about some great new Android One devices.” Android One phones are stated to get updates for two years. He also shared current Android statistics. As of now, the world’s most popular mobile operating system powers more than 2 billion active devices from 1,300 brands across 24,000 unique products. It’s unquestionable that Android has experienced a considerable amount of success, and with projects such as Android Go and Android One, we expect it to attain even more success in the future.